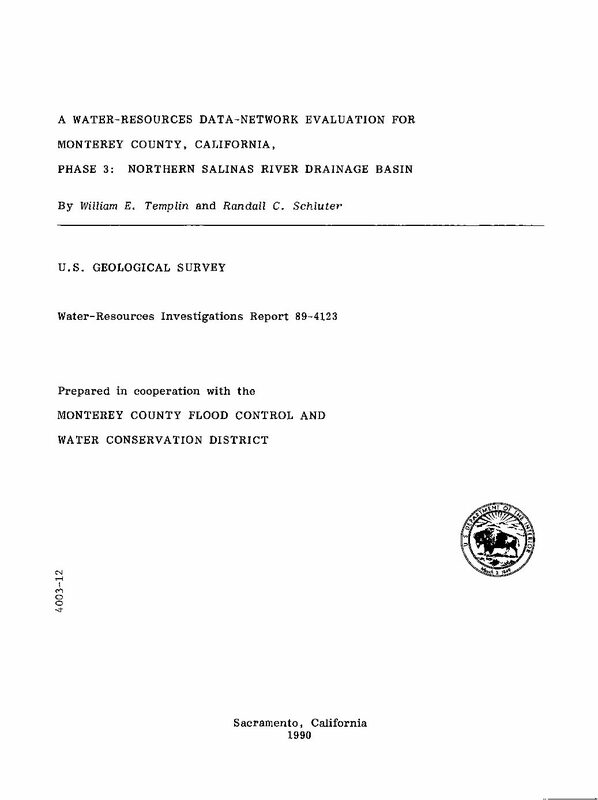 A two-dimensional, finite-element, digital model was developed for the Carmel Valley alluvial ground-water basin using measured, computed, and estimated discharge and recharge data for the basin. Discharge data included evapotranspiration by phreatophytes and agricultural, municipal, and domestic pumpage. Recharge data included river leakage, tributary runoff, and pumping return flow. Recharge from subsurface boundary flow and rainfall infiltration was assumed to be insignificant. From 1974 through 1978, the annual pumping rate ranged from 5,900 to 9,100 acre-feet per year with 55 percent allotted to municipal use principally exported out of the valley, 44 percent to agricultural use, and 1 percent to domestic use. The pumpage return flow within the valley ranged from 900 to 1,500 acre-feet per year. 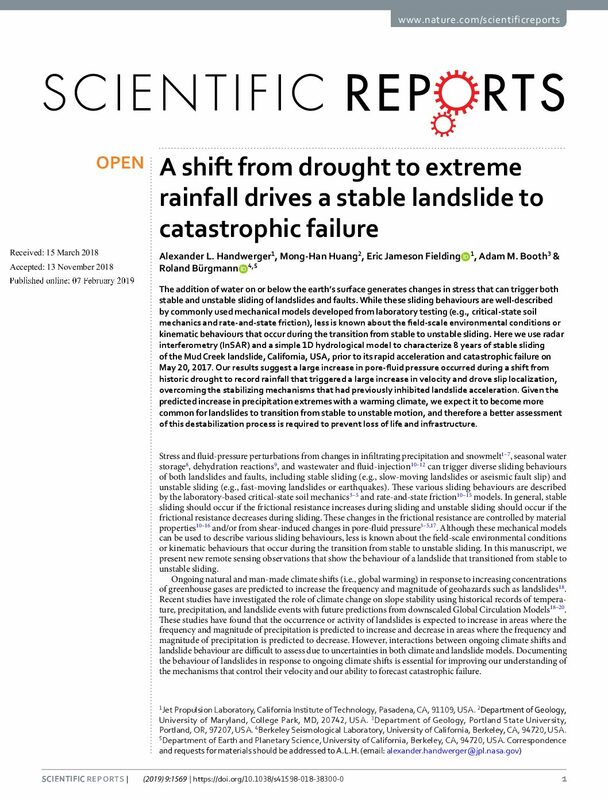 The aquifer properties of transmissivity (about 5,900 feet squared per day) and of the storage coefficient (0.19) were estimated from an average alluvial thickness of 75 feet and from less well-defined data on specific capacity and grain-size distribution. During calibration the values estimated for hydraulic conductivity and storage coefficient for the lower valley were reduced because of the smaller grain size there. The river characteristics were based on field and laboratory analyses of hydraulic conductivity and on altitude survey data. The model is intended principally for simulation of flow conditions using monthly time steps. Time variations in transmissivity and short-term, high- recharge potential are included in the model. 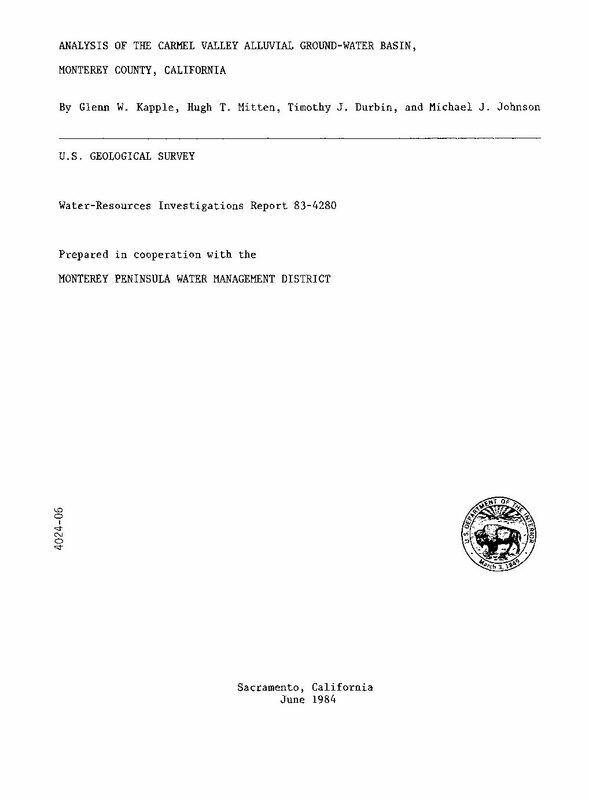 The years 1974 through 1978 (including "pre-" and "post-" drought) were selected because of the extreme fluctuation in water levels between the low levels measured during dry years and the above-normal water levels measured during the preceding and following wet years. Also, during this time more hydrologic information was available. Significantly, computed water levels were generally within a few feet of the measured levels, and computed flows were close to gaged river flows for this simulation. However, the nonuniqueness of solutions with respect to different sets of data indicates the model does not necessarily validate the correctness of the individual variables. 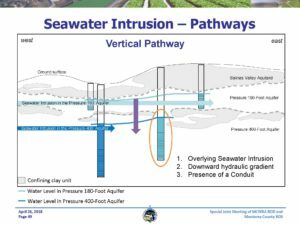 The model might be improved with additional knowledge of the distribution of confining sediments in the lower end of the valley and the aquifer properties above and below them. 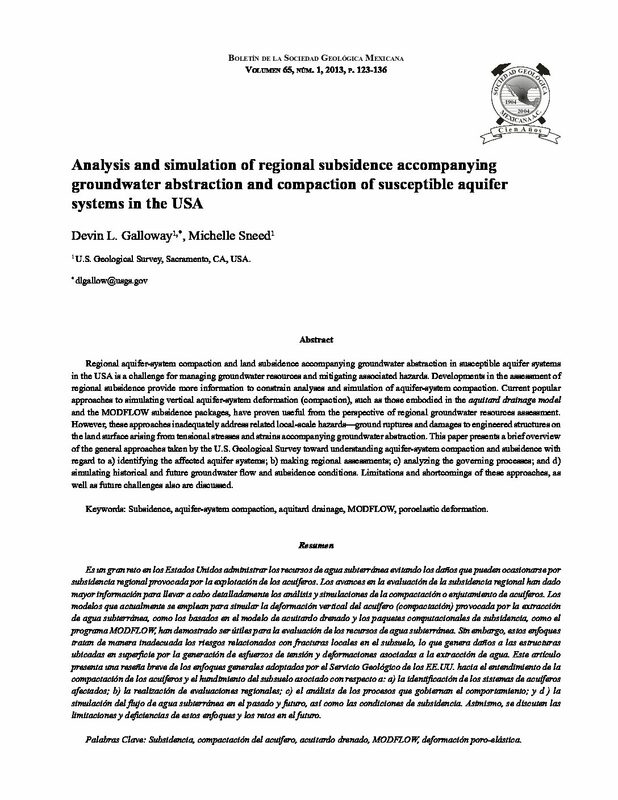 The solution algorithm could account for confinement or partial confinement in the lower end of the valley plus contributions from the Tularcitos aquifer. 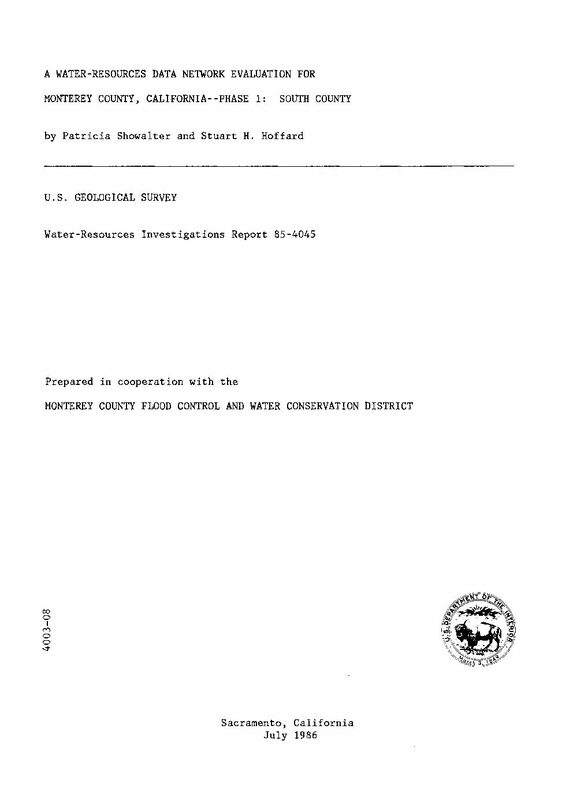 There is no comprehensive regulation of groundwater use in the state of California,* and the right to withdraw groundwater is based on surface land ownership. This creates a direct linkage between every land use that requires water and the groundwater underneath that land. Because so many aspects of groundwater use are not regulated by the state, local governments’ land use decisions become a key driver of demands on groundwater. Nonetheless, land use decisions and planning are not well coordinated with groundwater management. Understanding how land use decisions affect groundwater resources has become increasingly important in recent years, as groundwater provides approximately 30 percent of California’s water supply in average years and 40 percent of the supply in dry years. In some places, the reliance on groundwater during droughts is much higher, due to reduced supplies of surface water. Growth from housing and irrigated agriculture, among other demands, have led to chronic overdraft and declining groundwater elevations in many communities that rely heavily on groundwater. 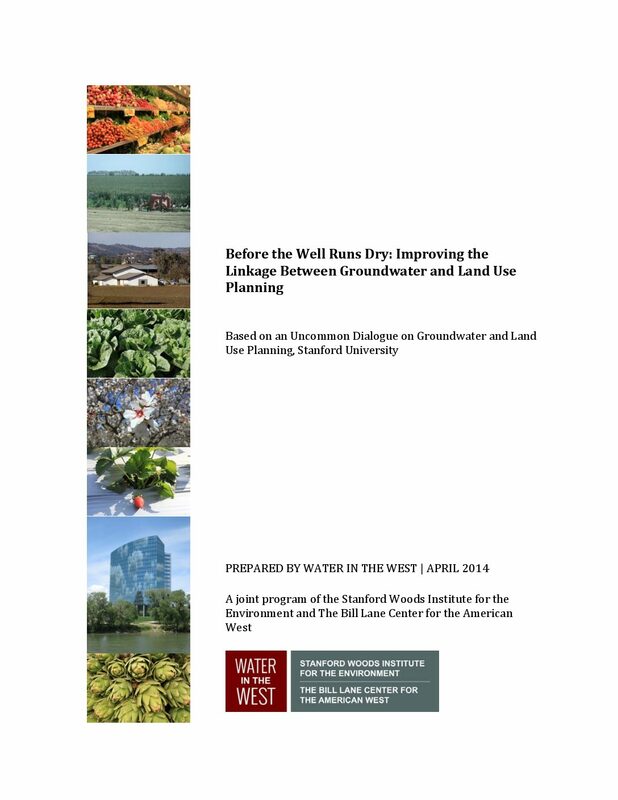 To address this problem, Water in the West convened groundwater managers, land use planners, water lawyers, consultants and academics at Stanford University for an Uncommon Dialogue in the fall of 2013. 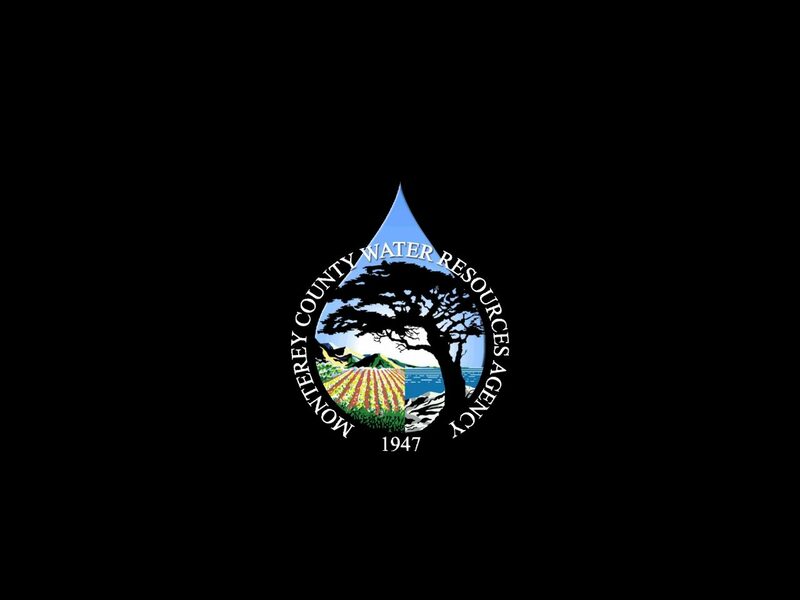 Its aim was to discuss a growing consensus that more effective integration of land use planning and groundwater management is an essential component of preserving groundwater aquifers for the future, and to share possible means of accomplishing this in California. 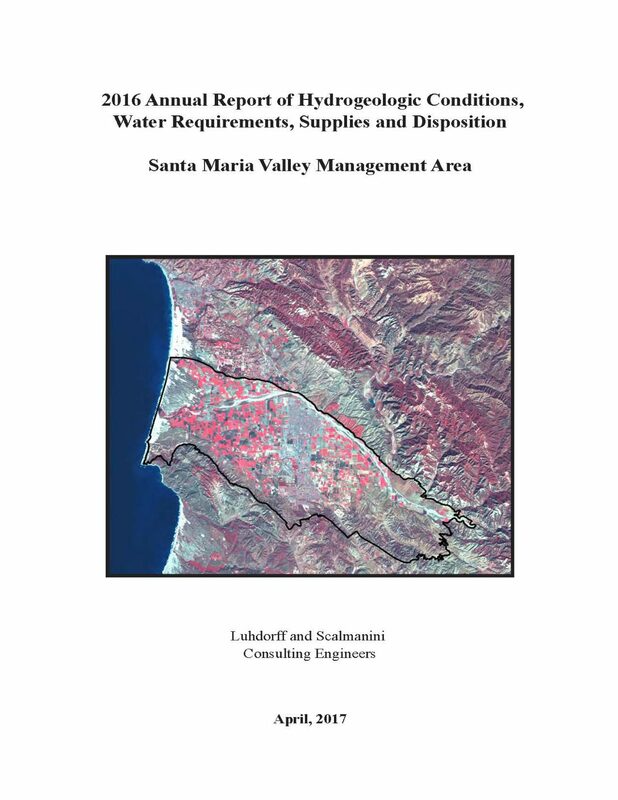 This report, shaped in part by the Dialogue, provides the background and regulatory context for land use planning and groundwater management in California, shares case studies that highlight the intersection of groundwater and land use, and makes specific recommendations to improve the linkage between land use decisions and groundwater management in the state. 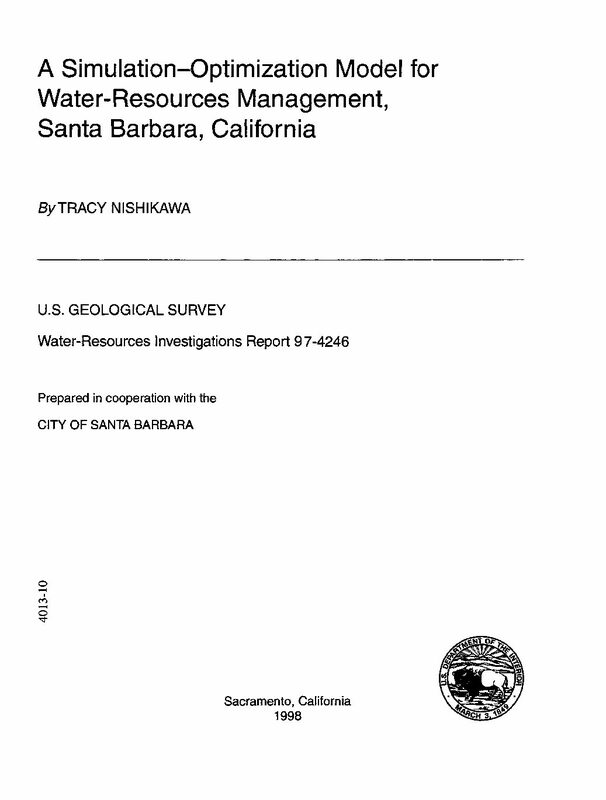 *The Sustainable Groundwater Management Act (SGMA) was signed into law five months after this was published.